KRET is a leading producer of military hardware, including advance electronic warfare equipment. 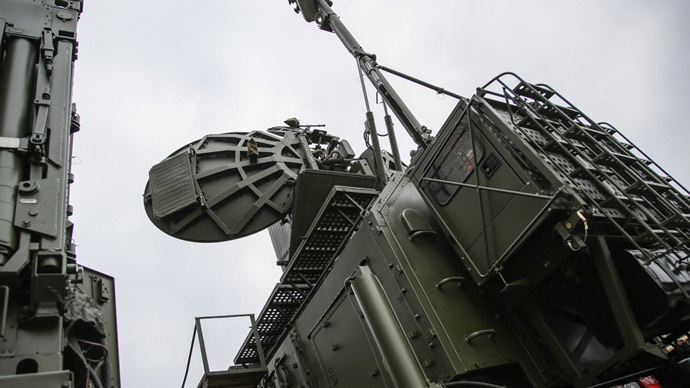 Its latest long-range jammer, Krasukha-4, entered service in 2013 and is gradually replacing older variants, while smaller-scale systems provided security during last year’s Olympics in Sochi. The new jammer currently in development would have ground-based, aircraft and naval variants, Maevsky said. Despite targeting enemy satellite signals, no space-based variant is planned as it would be a violation of international treaties, he stressed. His aide, Vladimir Mikheev, added that the ground-based version is to enter field trials later this year. “It will be used against cruise missiles and jab enemy radar stations. It would effectively ‘turn off’ enemy weapons,” he said.